If we want real and lasting change in the theatre industry, if we want theatre to be more diverse, to tell different stories in different ways, to explore form and reflect the complexities of the world in which we live, then we need change: change in who is trained, how they are trained, who delivers that training, how drama schools are led and who leads them. Many drama schools lag behind the times, training people, often the same type of people for the industry as it was, and less for how it is now – very seldom for what the industry will be. One school that has moved with the times is East 15, which aims to produce students who don’t just perform but can make theatre too. Battersea Arts Centre’s David Jubb recently told me that drama schools still train for a 20th-century theatre. And the “people coming out of those drama schools are becoming less and less relevant” for the increasing number of theatres that understand that creativity isn’t just about what’s on stage but about co-creating with communities to make change. 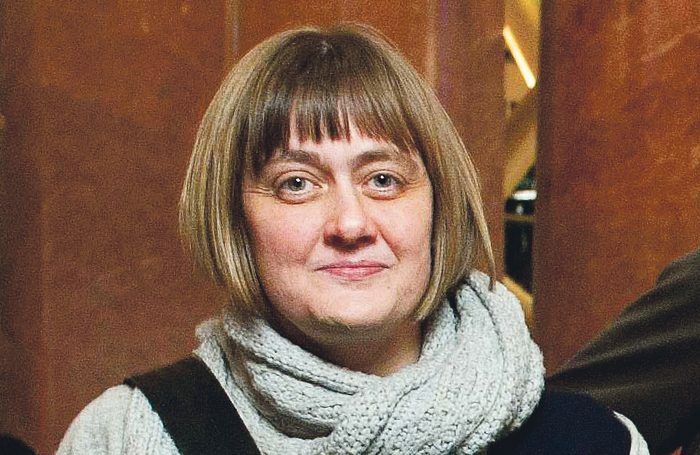 That’s why the appointment of Sarah Frankcom, who has described drama schools as being “really monocultural”, as head of LAMDA is so significant and welcome. Frankcom has identified the need “to re-imagine the DNA of the repertoire that drama schools are exploring,” and find “a new repertoire to reflect a more diverse world”. She has pointed out that an actor of colour may leave drama school without playing anyone of their own ethnicity. We have all seen the statistics that suggest it is harder to get into some top drama schools than it is to get a place at Oxbridge. Like Oxbridge, drama schools have a diversity problem in terms of who goes, who applies and what the culture feels like when they get there. Just as in the industry itself, it is mere tokenism to invite people into the building if you don’t fully support them when they arrive or recognise that the people you’ve allowed through the door – perhaps because of race, socio-economic background, disability or gender – might have different needs from the students you’ve trained previously. This is particularly true if you have been delivering that training for years. So, it was good to see five drama schools including RADA, Bristol Old Vic, Arts Ed, Guildhall and Mountview signing up to the Diversity School Initiative, a student-founded campaign body set up to hold performing arts training institutions to account over diversity. Theatre and its institutions often say they want change. But they operate in a way that makes those accepted bend to the way the institution has always operated. It’s something that applies to audiences as much as it does to those making theatre. We want more diverse, younger audiences but then we screech that they don’t know the rules when they behave differently when they get into the auditorium. Royal Central School of Speech and Drama hit the headlines last year after its principal, Gavin Henderson, was asked about quotas at a student-led event called Dear White Central. He responded: “Quotas would reduce the quality of our student intake.” As I said at the time, it was “an astonishing statement from someone heading up a leading training institution when we all know that access to training is a significant factor in whether people enter the profession or not”. Almost a year on, Central has published a report it commissioned from consultants in the wake of the criticisms of Henderson’s declaration. Issues raised in the review included how students perceived audition groups for Central to be more diverse than the resulting peer groups at the school; there were negative perceptions of the socio-economic range of students, and concerns about the lack of diversity in staff in senior positions. Central is putting aside £100,000 to address issues raised in the report. Chair of governors John Willis said while the report’s statistical evidence indicated that Central performs well compared with other higher education arts providers, it was also clear “that for some students and staff there is a gap between those statistics and their lived experience”. That of course is the rub. Whether you are running a drama school or a theatre, you can put every procedure in place to ensure you hit all the right statistics and tick all the right boxes without really making everybody feel welcome. That is much harder. It requires visionary leadership to shift the dominant culture of an institution so it is fit for purpose in the fast-changing theatrical landscape, and is able and willing to anticipate the changes to come.